Some time ago, I began the transition from using a mouse with my computers to using a trackpad. I realized that during 2014, I became entirely free of using a mouse. This transition came about as a result of using the trackpad on my Apple MacBook Pro. By the way, this would never have happened had I been using the trackpads on other types of computers. I had been carrying around a USB mouse to use with my MacBook Pro, but eventually got to the point where I wasn't using it anymore. Some time ago, I also purchased a trackpad for my iMac. I still had my mouse sitting next to the trackpad and would use it on occasion. Now it just sits there looking lonely. Of course, I still use a mouse most of the time I am working on a PC at the BYU Family History Library or at someone's home, but for my own use, the mouse is now extinct. This points up an important fact about technology. At first it is a novelty and then it becomes a necessity. Also during 2014, my wife discovered texting. She objected to using it because our phone plan charged extra for each text. But this past year we changed plans and free texting is included. I am starting to get used to the fact that she would rather text than talk on the phone in a lot of cases. Well, technology marches on and we keep evolving to match the new technology. I am certain that the new year will bring even more changes. Maybe it will even get me to start using texting. Thanks to my loyal readers and many new ones, 2014 was a banner year for Genealogy's Star. The blog started the year with about 62,000 views a month and then shot up over the course of the year to well over 100,000 views per month. It is quite an experience to realize that many people are going to read whatever you write that day. One thing that helps is feedback and comments. From time to time, I actually meet people who have read my blog, which is nice. If you think about it, writing a genealogy blog is not at all comparable to some of the real popular bloggers in the world. Blogs are now a big business with all of the major genealogy online entities and almost every genealogy product with its own blog. There are thousands of genealogy blogs and with some of them being promoted by big businesses, it is easy to get lost in the cloud. I am currently subscribing to over 250 blogs daily and review many more than that on a regular basis. 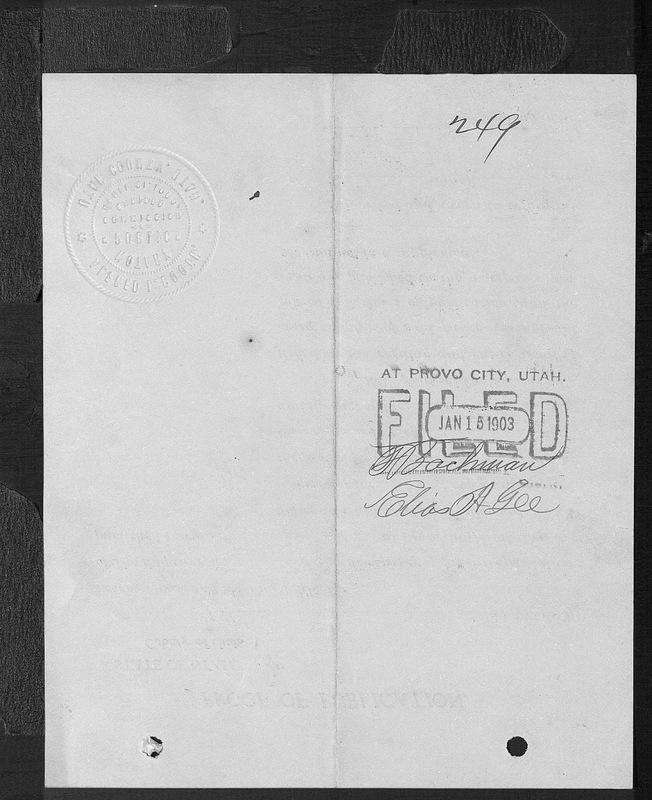 My year became complicated when we decided to move to Provo, Utah from our long-time home in Mesa, Arizona. The move opened up some new experiences and we have met a lot of really nice people in Utah. We miss our friends in Mesa, but are looking forward to another year of adventure in Utah. Thanks again to all of my loyal readers, new and old. Thanks for all the comments. If there is something you have a question about, leave a comment and I might be able to turn it into a blog post. 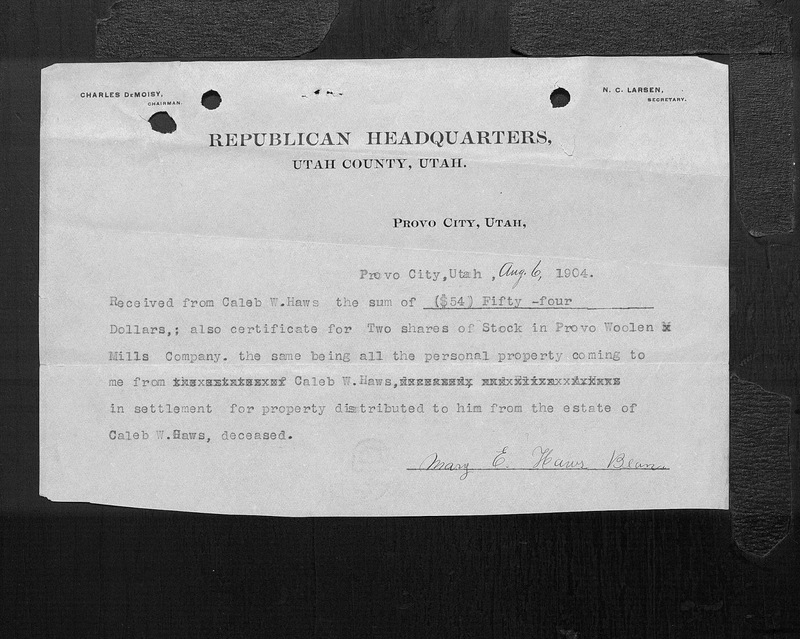 In my last post in this series, I started to examine the probate file of Caleb W. Haws filed in Utah County, Utah. 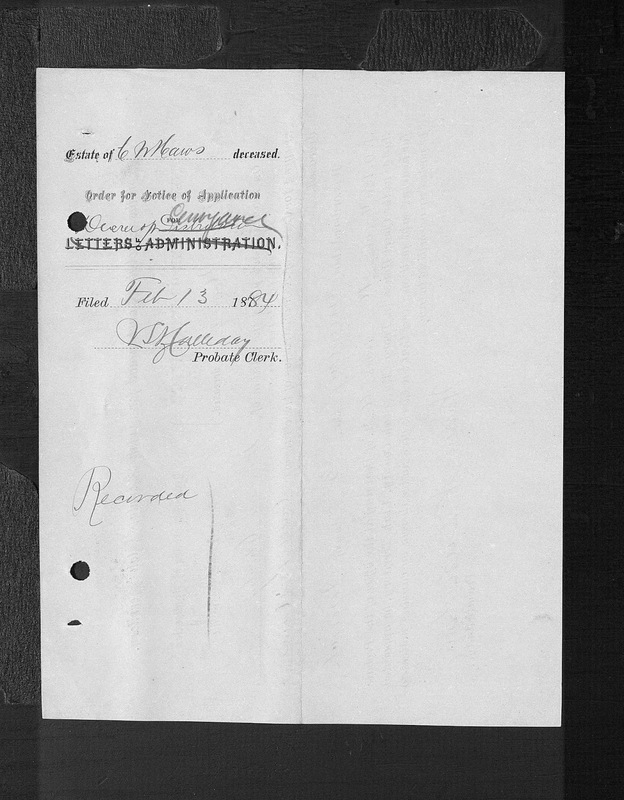 This particular file had 62 pages of documents. As I noted in the previous post, Caleb died in 1871 in England but his probate was ultimately not concluded until 1904. 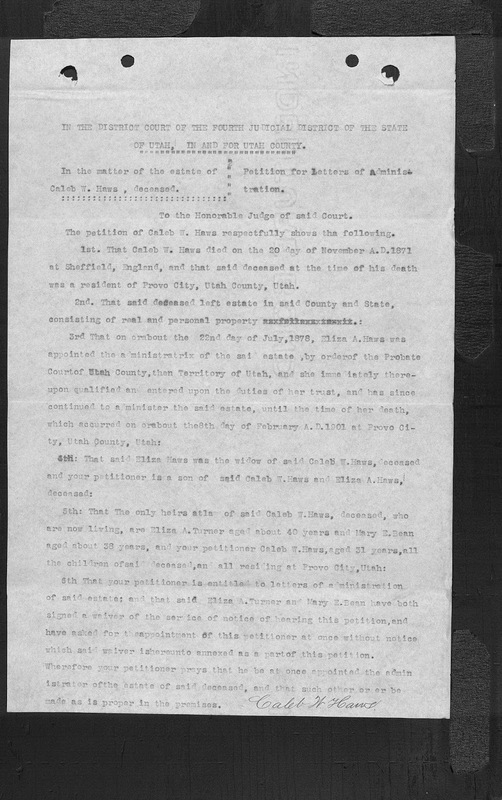 Then the new Letters of Administration were filed and the proper Notices were given. Now after so many years, the matter is almost finished. The Administrator filed a Final Account and Petition for Distribution. 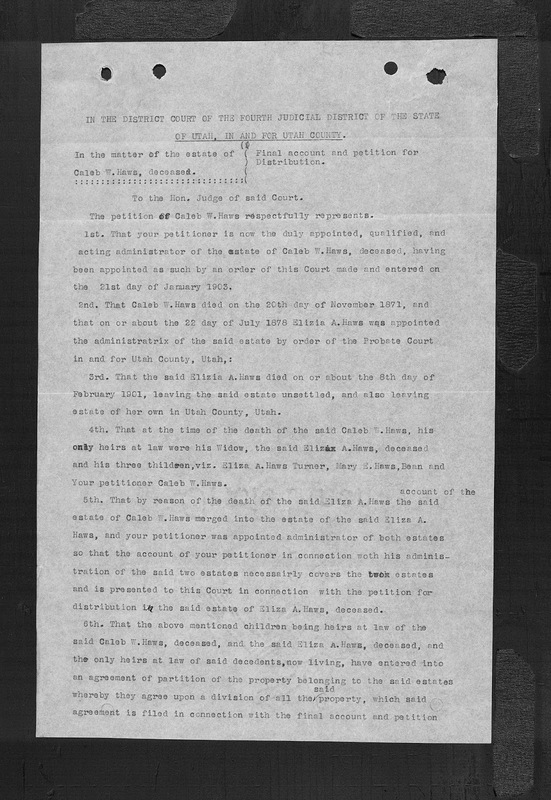 This is another document that reviews the entire probate process and provides valuable information and insight into the family. Because the Administrator is the son of the original deceased, you have another descendent generation added to the family. 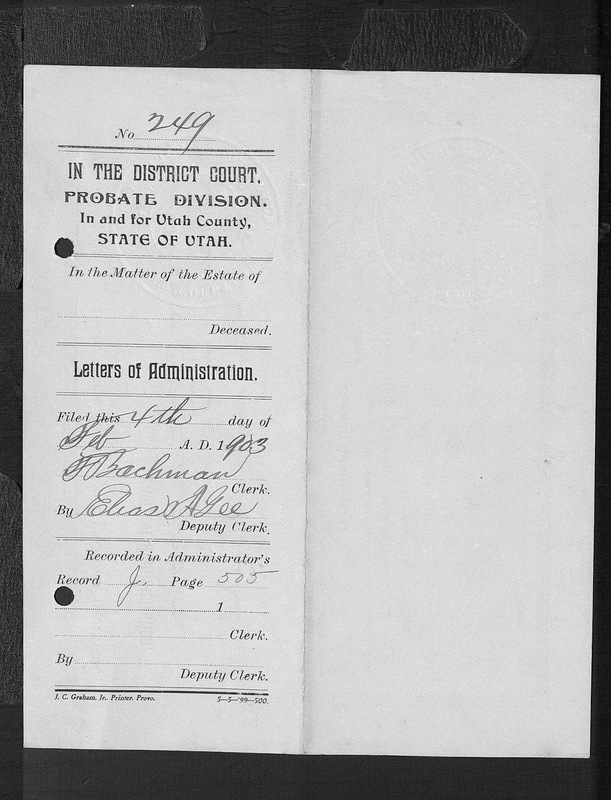 Note that this is an intestate probate file. There was no will for either the husband or the wife. Wills may add additional information for the researcher, but as you can see, a probate file can provide valuable information either instead or or in addition to a will. Time to wrap up this particular file. 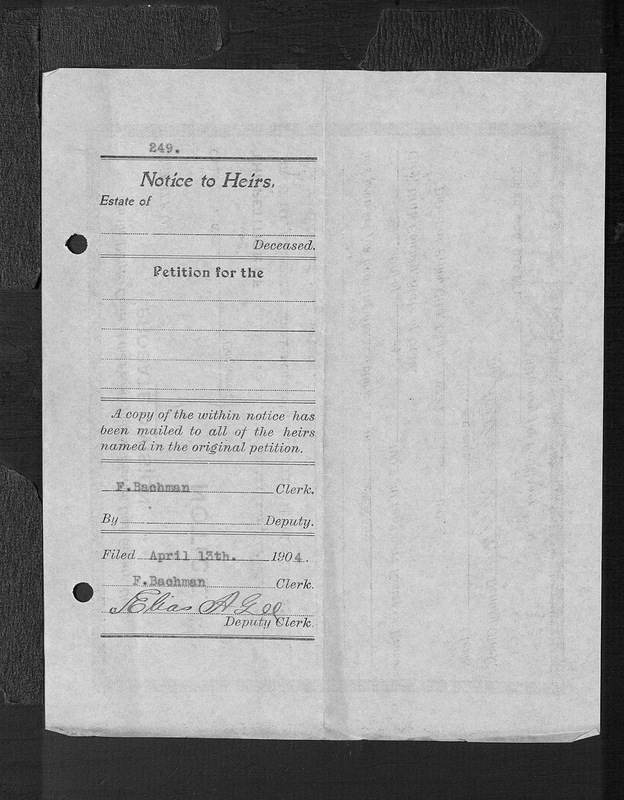 Here is the Notice to Heirs and the cover sheet. Next is the Order setting the final hearing on the estate. 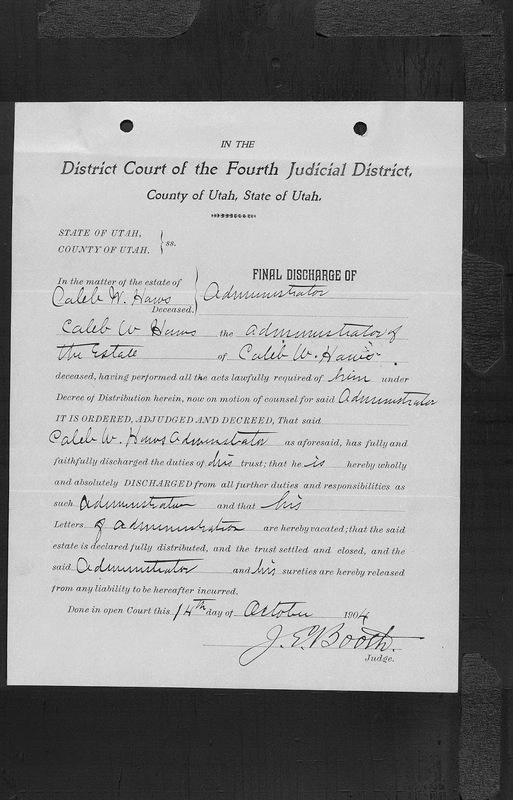 Once again, this probate was still in court 33 years after the death of Caleb W. Cox. 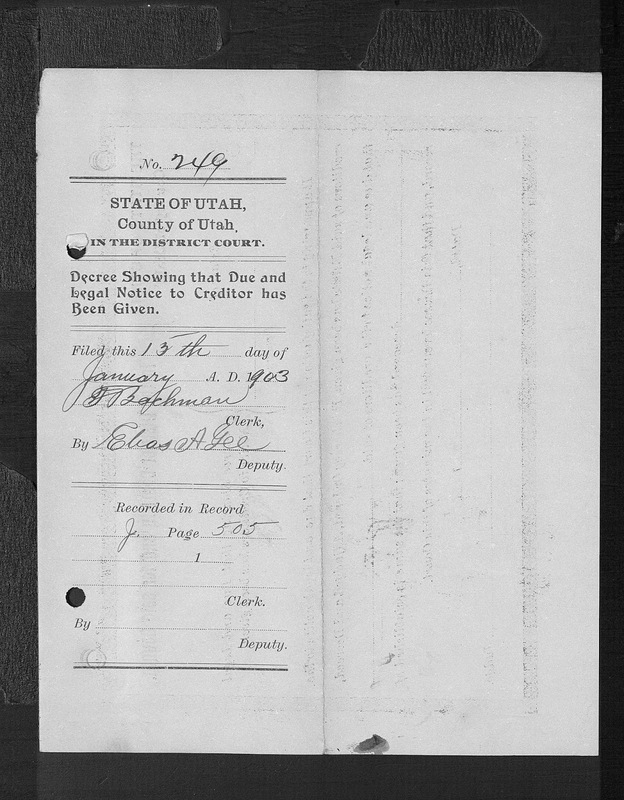 You can see that a perfunctory examination of the court records would give you no indication that the file was still open and the case still proceeding this long after his death. This is the real difference between a seasoned researcher and a beginner. The seasoned researcher realizes that the search isn't over until its over. 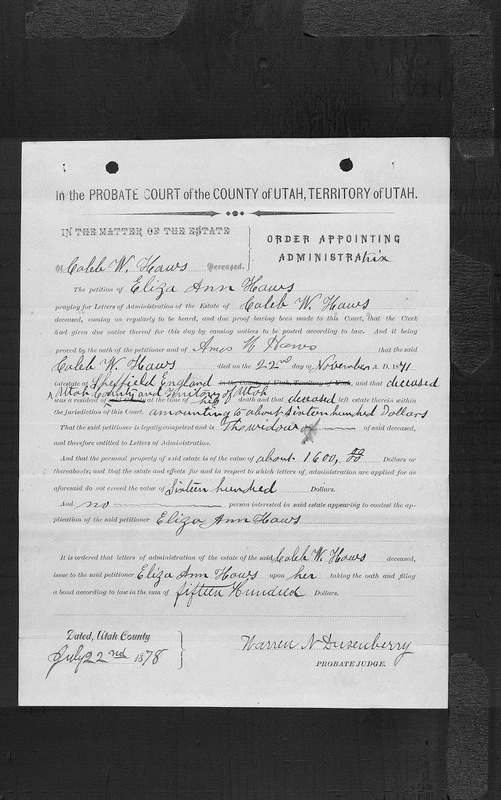 In this case, the research would fail to find a will and a search of the court records for a reasonable time after the death of the ancestor would not show the existence of a probate file. It would be only through persistence and patience that this file would have been found. 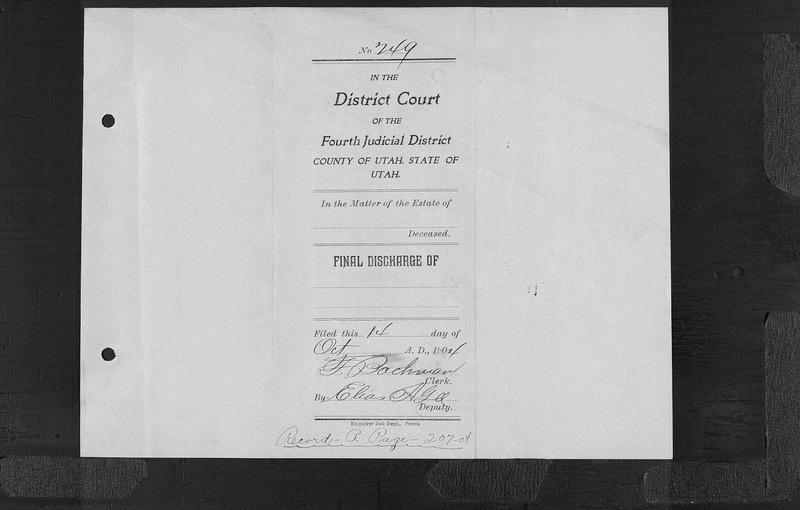 Of course, here we have the entire file online and digitized, but if you were researching the original records in the court house, none of this would be that easy. Here is the Decree of Distribution, the last formal step in the process. 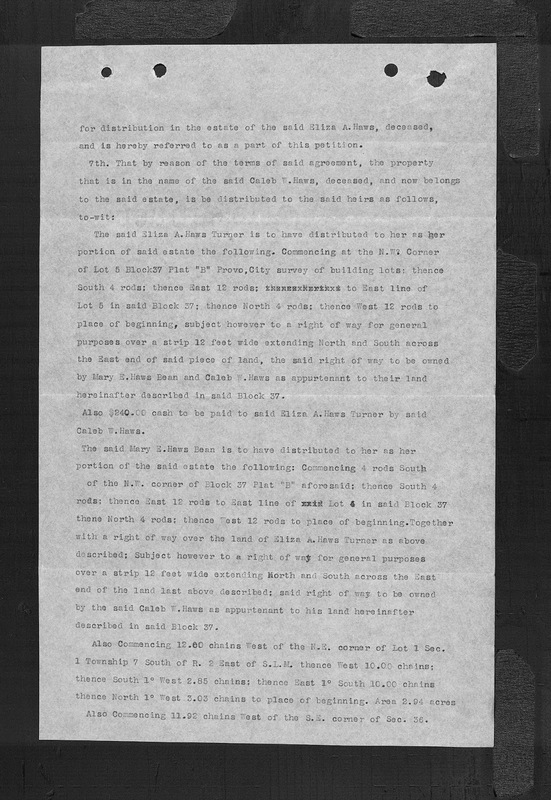 Of course, there are a lot more documents to come so I have grouped them all in this last section. The Administrator needs to be discharged and the bond exonerated. Unless you take the time to look at each of these documents, you cannot imagine how many more suggested sources of information about the family are contained here. A lesson to the wise and persistent. 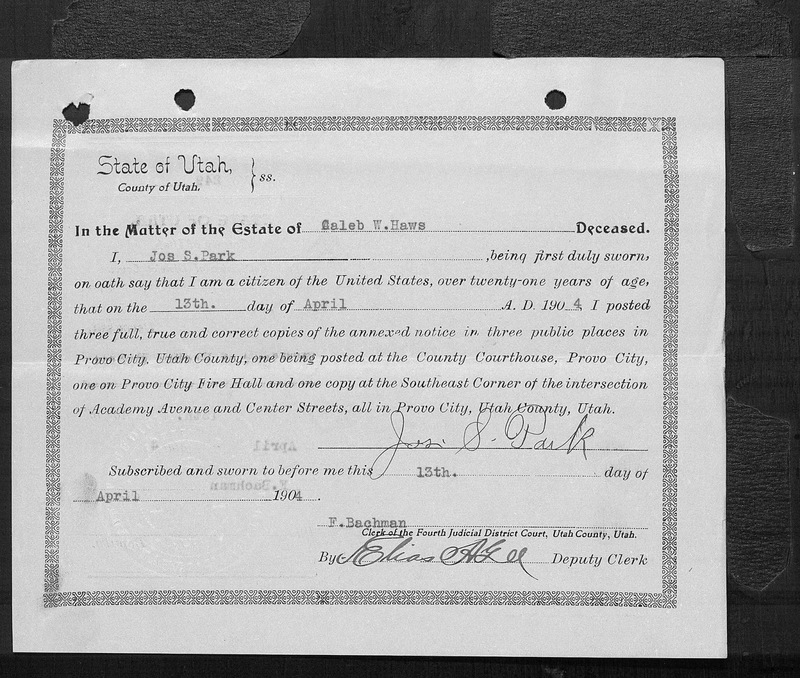 The Ins and Outs of Probate for Genealogists - Part Four - What is Probate? 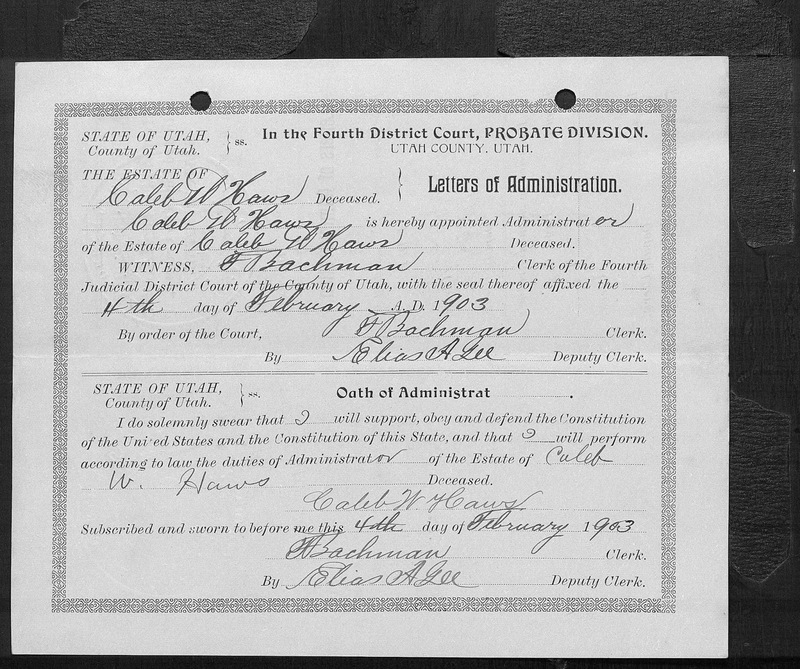 The Ins and Outs of Probate for Genealogists - Part Five - What are Probate Procedures? 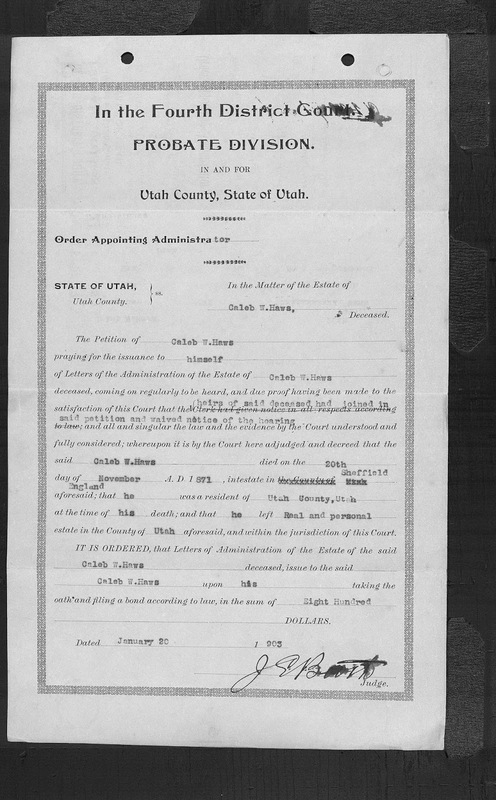 The Ins and Outs of Probate for Genealogists - Part Six - Where do I find probate documents? How many people in the world were named Mary? How about John? William? Joseph? A syndrome is a group of symptoms that characterize a specific disorder. In the larger genealogical community the disorder to consider people with the same name as the same person has reached epidemic proportions. The Same Name - Same Person Syndrome (SN=SP Syndrome) has become an overwhelming genealogical conundrum (a confusing and difficult problem or question). In areas where given names are drawn from a relatively small pool of possibilities, such as in the Scandinavian countries, confusion between individuals with the same name has become so rampant that there is practically no way that some of the research in these areas can be untangled. The problem grows exponentially as successive generations of children are given the same name, i.e. 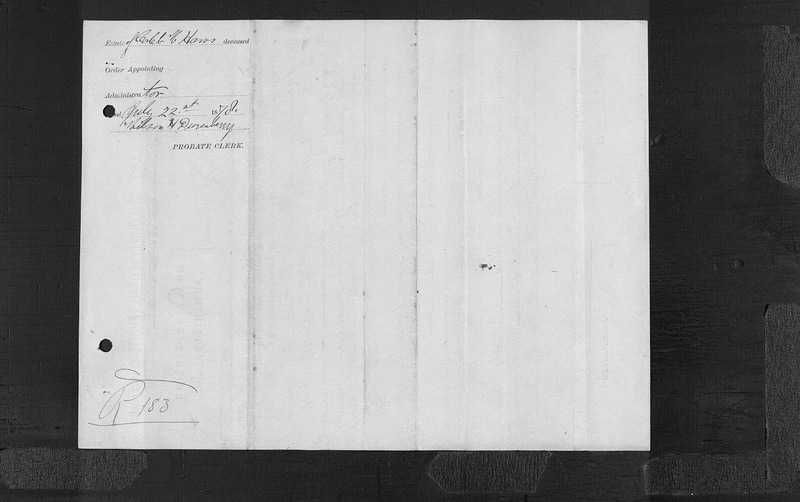 William Tanner, the son of William Tanner names his son William Tanner and so forth. Certain European naming practices are almost a guarantee of researcher's confusion. For example, if a named child died shortly after birth (or even later on), the next child of the same gender was given the name of the deceased child. In genealogy programs that allow for merging individuals, these children with the same name but different birth dates are very frequently merged as the same person. Ignorance of the naming practice is the excuse given for this sloppy practice. The only consistent cure for this lamentable condition is to do research in depth beyond searching for names. In addition, merging should be done with knowledge beyond matching names and approximate dates. 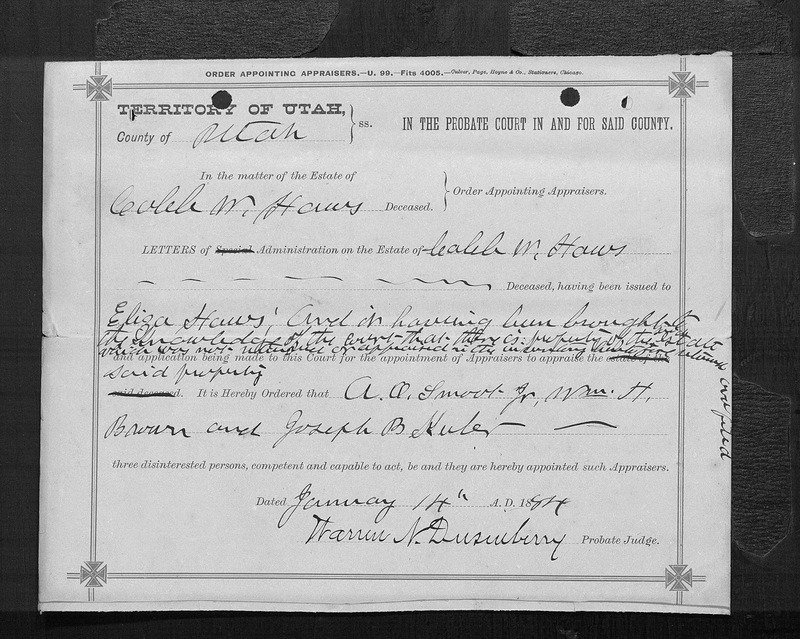 This issue becomes excessively difficult for those sharing a family tree such as the situation in FamilySearch.org's Family Tree program. Indifferent or unschooled researchers seem all too anxious to merge people without citing even one source or making even a moderate effort to determine if the two people with the same name are really the same person. The fact that these types of changes can be accomplished without citing a supporting source facilitates the problem. 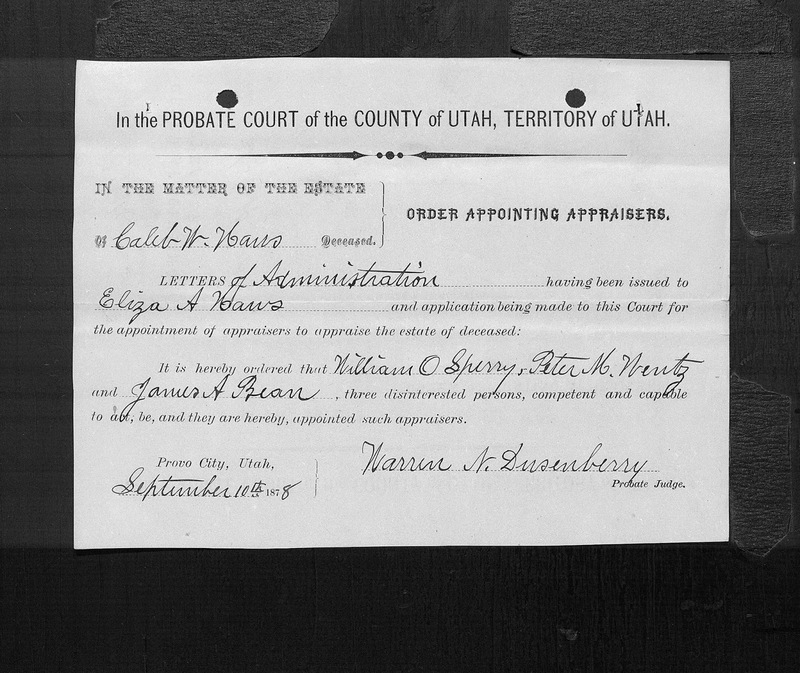 Except for the financial institutions' propensity to use maiden names of grandparents or parents as "security words" there are few practices in the quasi-genealogical view of the complex area of genealogy that can cause more harm to a carefully crafted pedigree than mistakenly assuming that two distinct people are the same. 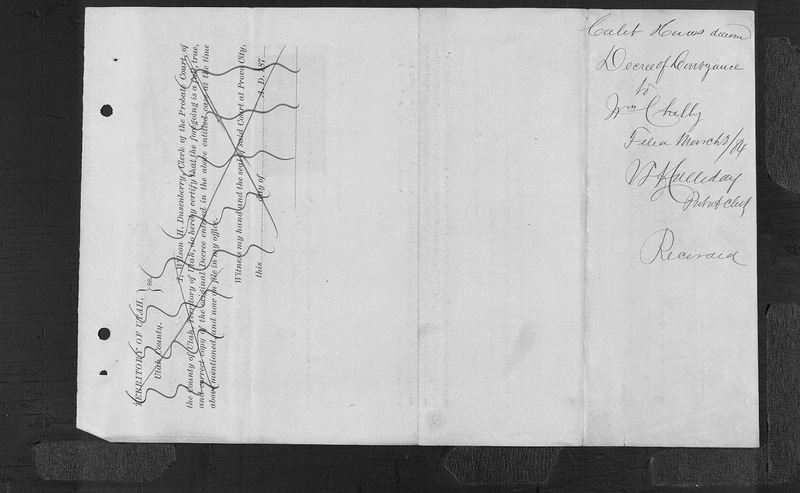 Historically, assigning arbitrary names to people was a some-what common practice. 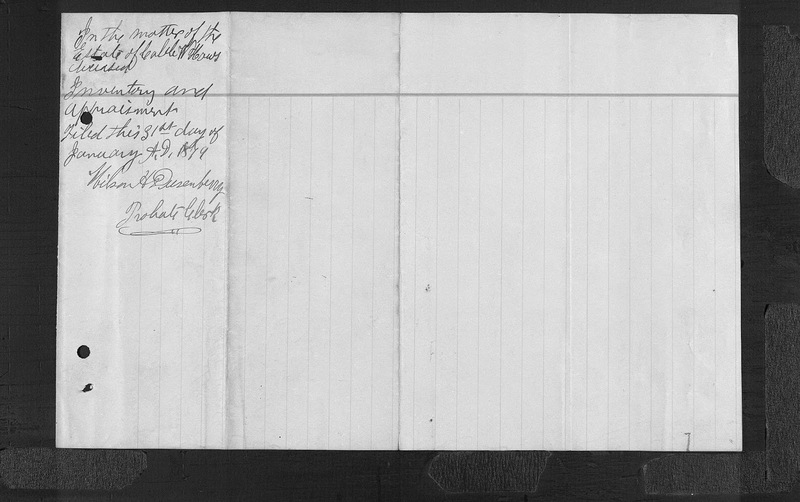 For example, when Native American children were inducted into the boarding school system, they were assigned names from a very small reservoir of English given names. Likewise, in the early days of colonization of the Americas, the Catholic Church assigned Biblical names to all of the "converts." In some cases, every one of the couples in a small town were given the same name: Jose or Maria. It is interesting that those who design and develop genealogical software have spent so little time concerned about some of the major problems of genealogy, including the SN=SP Syndrome. Merging, in some cases, is automatic and can occur even when the two individuals do not share the same name. This is as it should be except that in the end, the fact that merges can be wrong is not taken fully into account. The programs are beginning to get into the details of merging when they incorporate a "not a match" function. 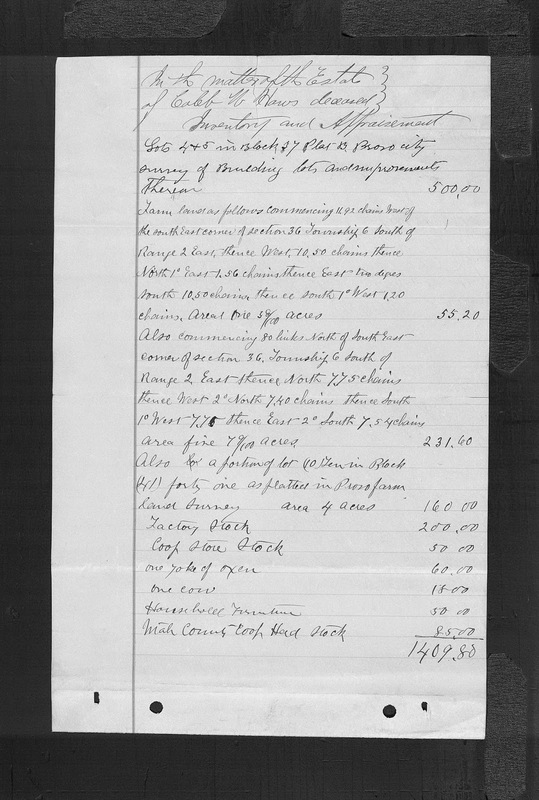 Moving along through the file, the Inventory and Appraisement is often neglected by researchers because it seems to be a simple list of items owned. But if you think about it, the property we own at the time of our death is a pretty good indication of our economic level, our work and interests. 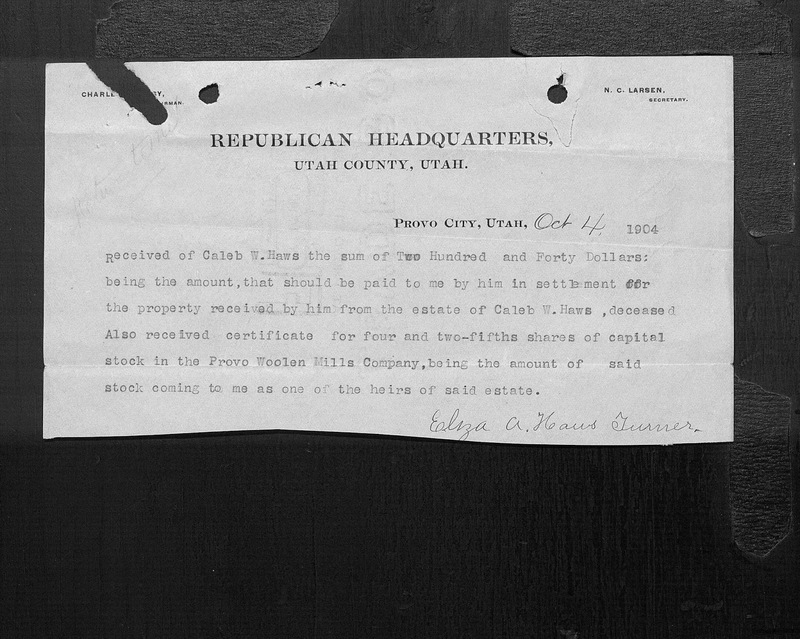 The amount of property or lack thereof is a good indicator of the number of additional records that might be available about an individual or family. 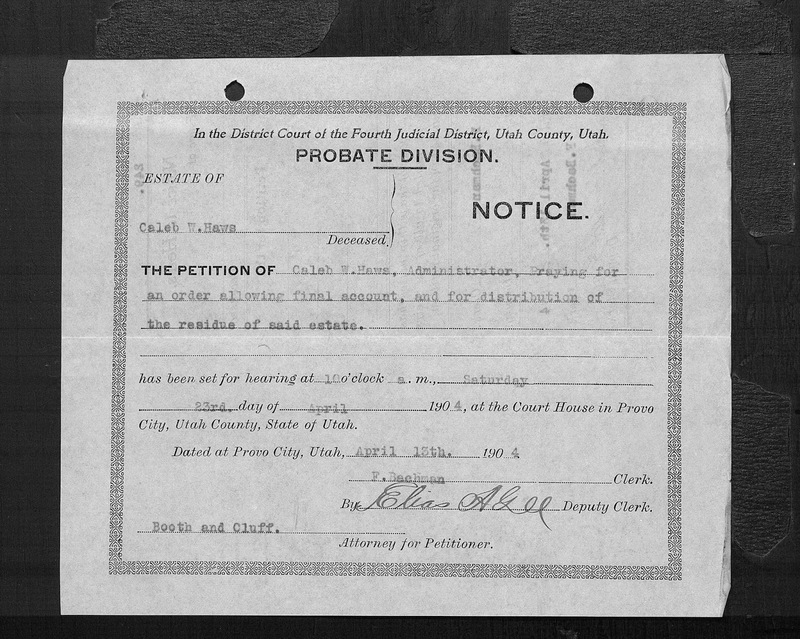 By now, you should be aware that a complete probate file is going to contain some of the same types of documents even back into the dim past. 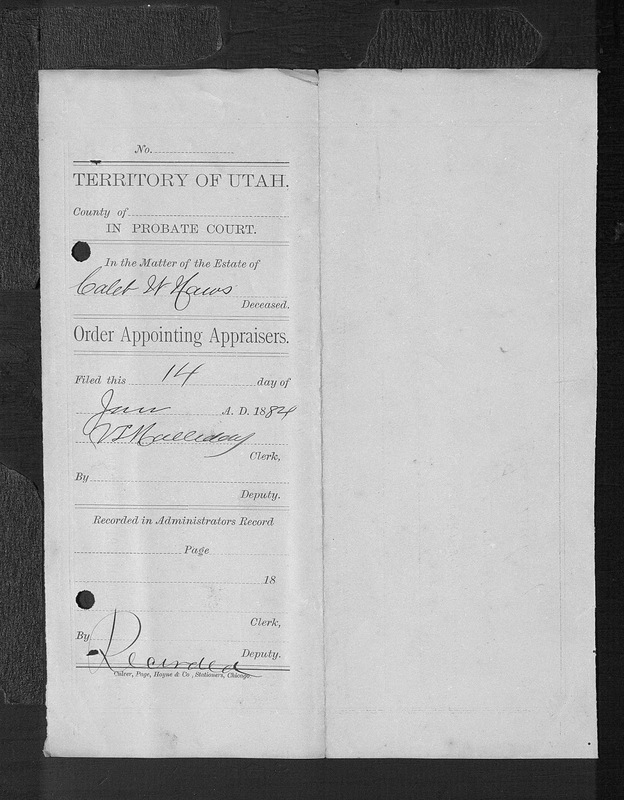 One type of document present in the court system is the cover sheet. 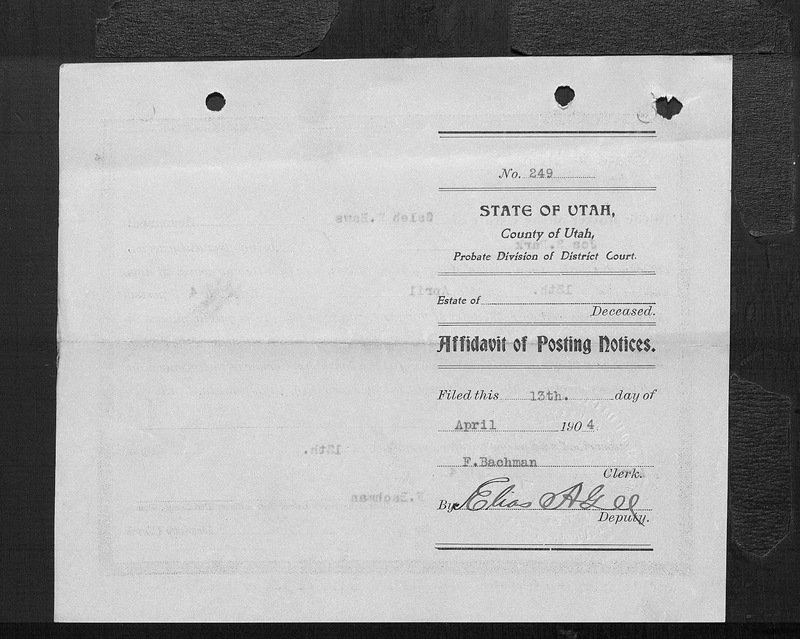 These documents can be used to established when certain actions took place in the court. 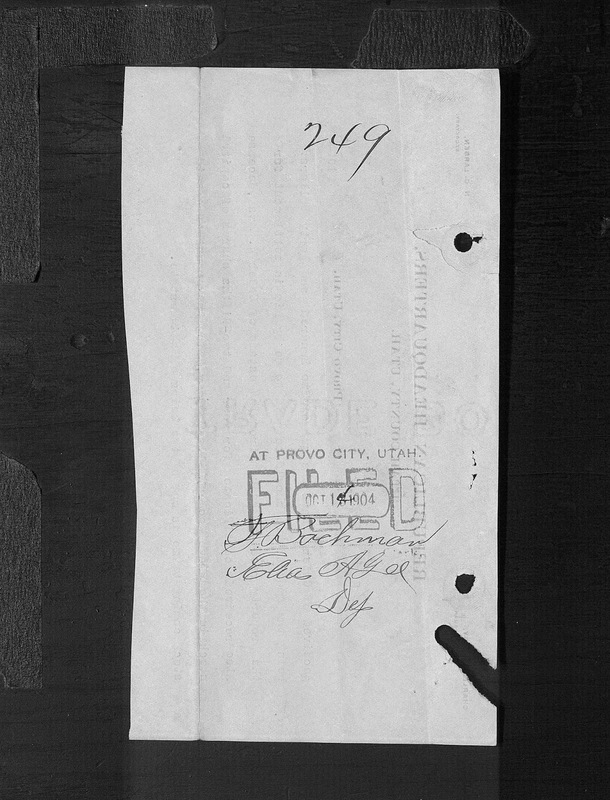 The Orders and other filings may have dates other than the date of actual filing of the document with the court. The last documents I included in the previous post were dated in 1884. 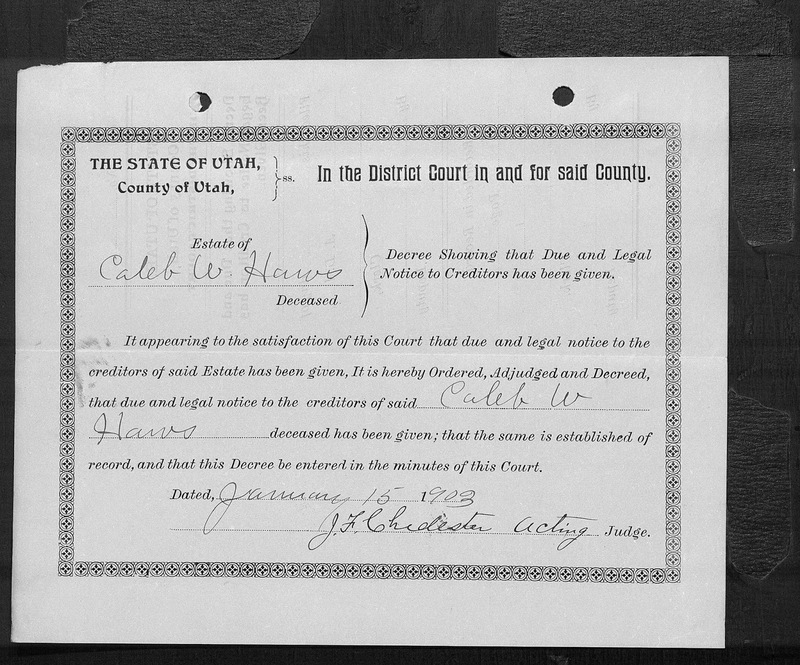 We are now 13 years after the death of Caleb W. Haws and still in the midst of the probate proceeding. 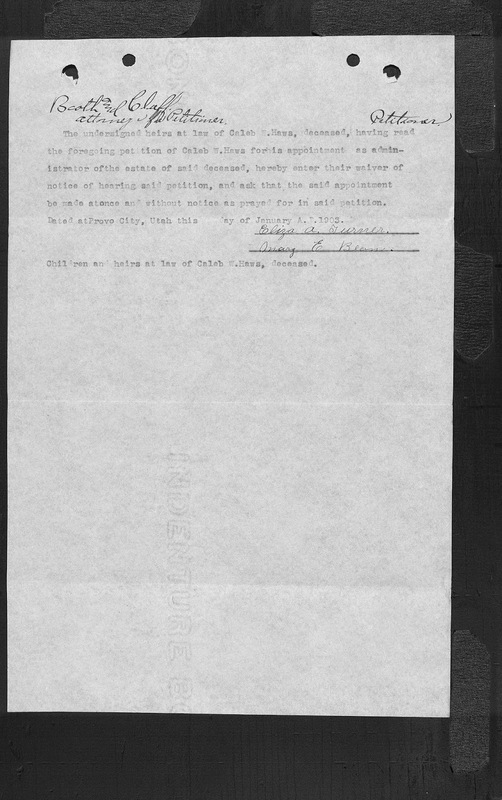 The next document is the Decree Authorizing Conveyance. This follows the pattern of a petition, followed by any response thereto, the setting of a hearing, holding the hearing, issuance of an order and then the final decree. Some or all of these terms may be unfamiliar in this context but similar terms are used today as they have been for many, many years. 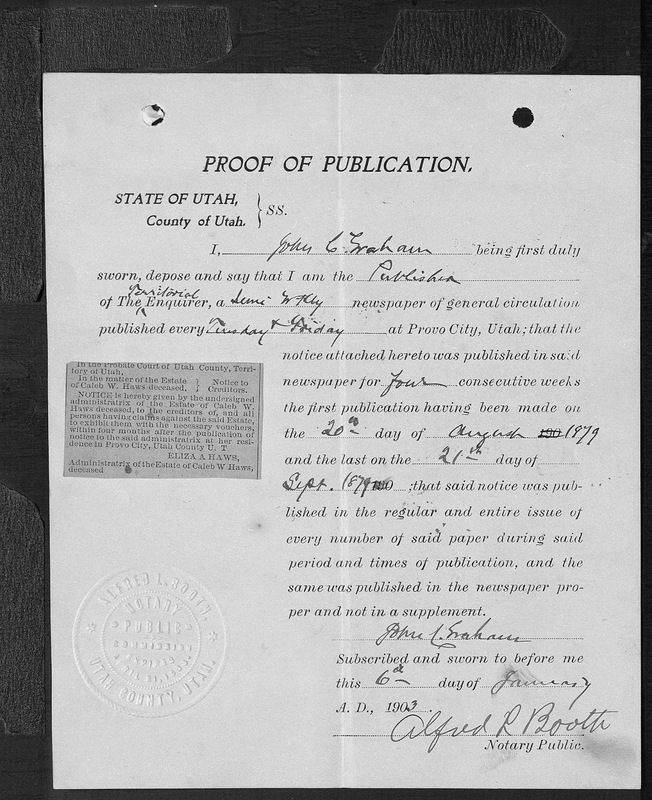 The strange part of these particular documents is that the publication took place eight years after the death of the decedent and the Proof of Publication was not filed until almost four years later in 1903. Anytime during that time period any creditor could have come forward and made a claim. It is certainly in the best interests of the heirs to have this time period as short as possible as allowed by the laws and procedures in effect. So much time passed in this particular case, there was a substantial risk that the laws and or the procedures could have changed during the pendency of this action (not a very good situation). 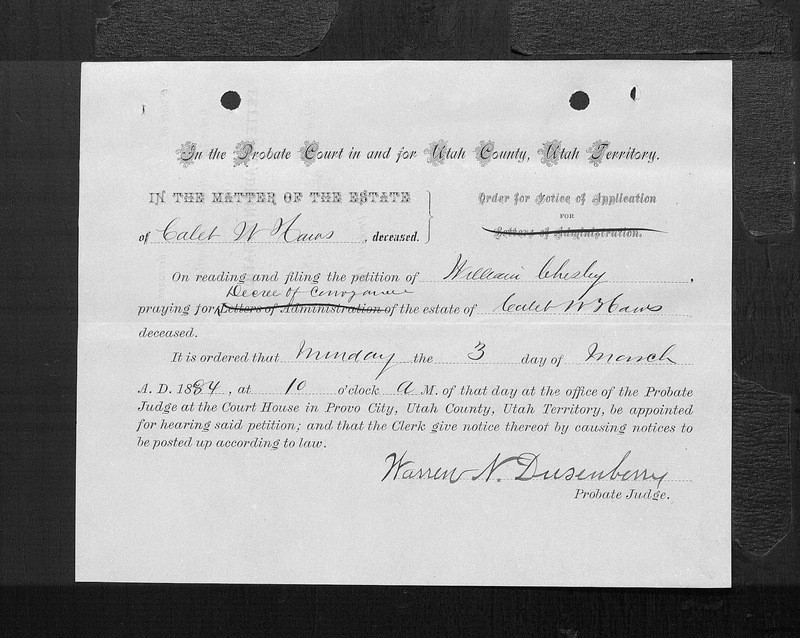 You can probably get the idea that there are several steps in the filing process in the probate court: filing, notice, proof of notice, hearing, order, decree. You will see the same pattern over and over again. If you are lost at this point, I suggest that you read the above petition carefully. 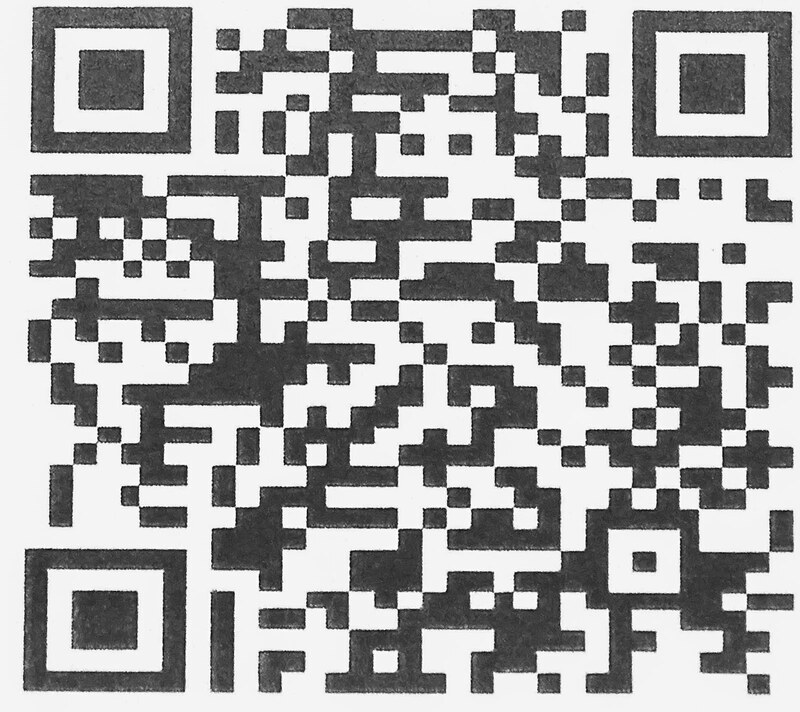 You can click on the images to see them in larger size. You will see that this contains an additional bonanza of information in that it gives the children and their ages at a certain point in time. 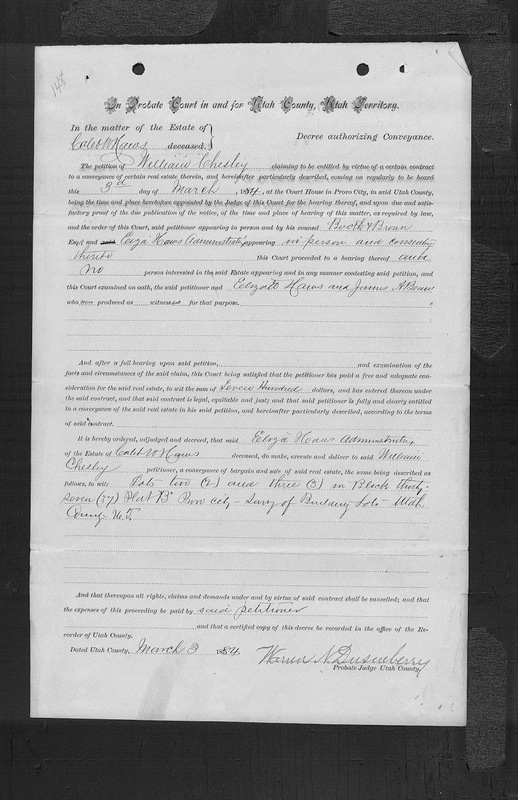 The suggests birth and marriage records could be located, but if not, then here is first-hand documentation of the family members and their ages. 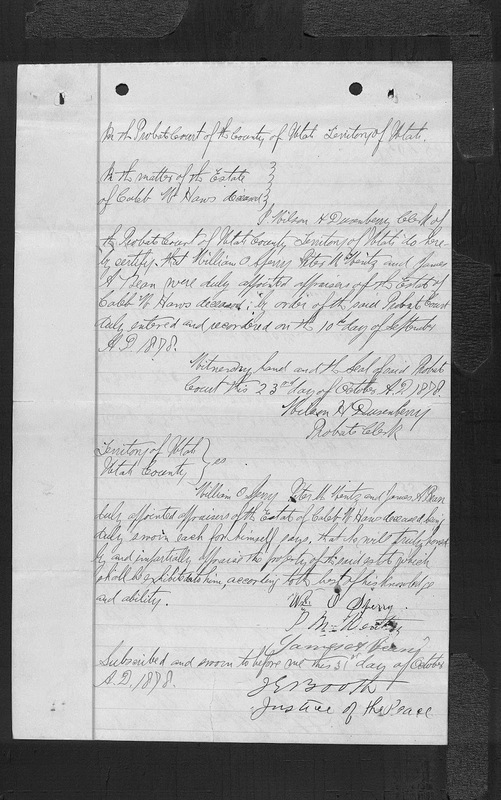 Here is the order appointing the son, Caleb W. Haws as the new Administrator of both his father's and mother's estates. 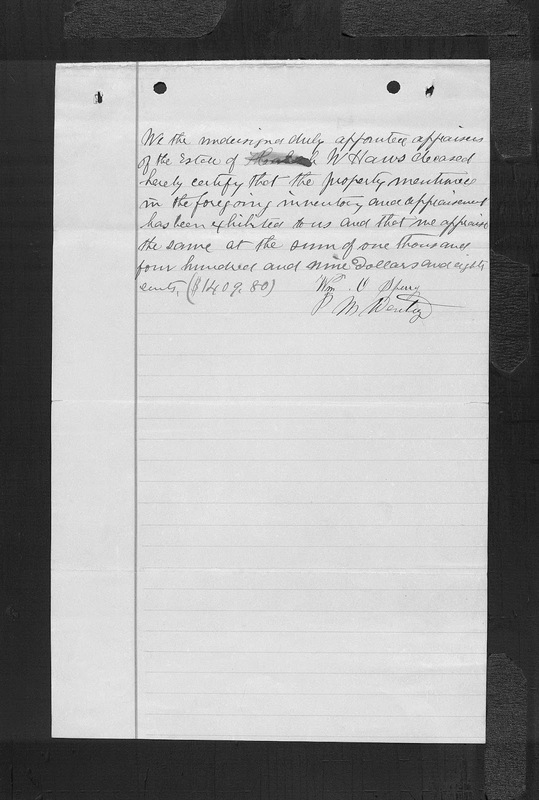 You might notice that the other heirs joined in to waive the requirement for a hearing. 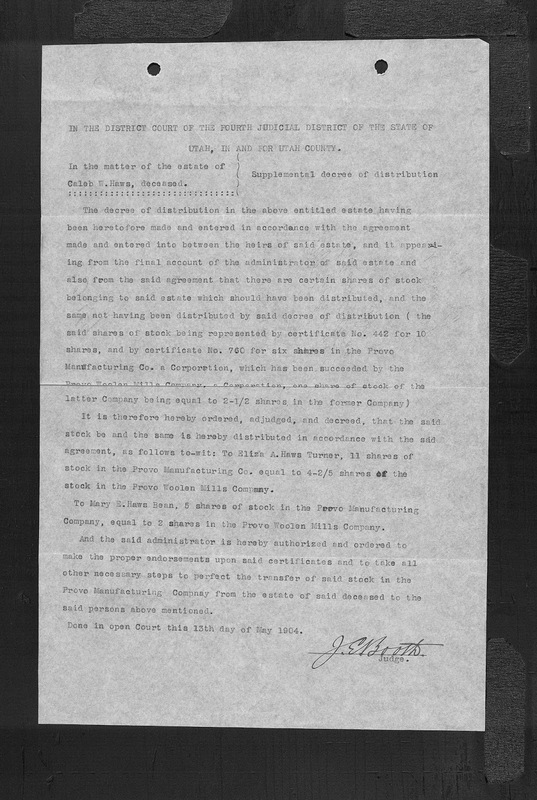 Now, in a sense, we are back at the beginning of the probate action. But this is not nearly the end. 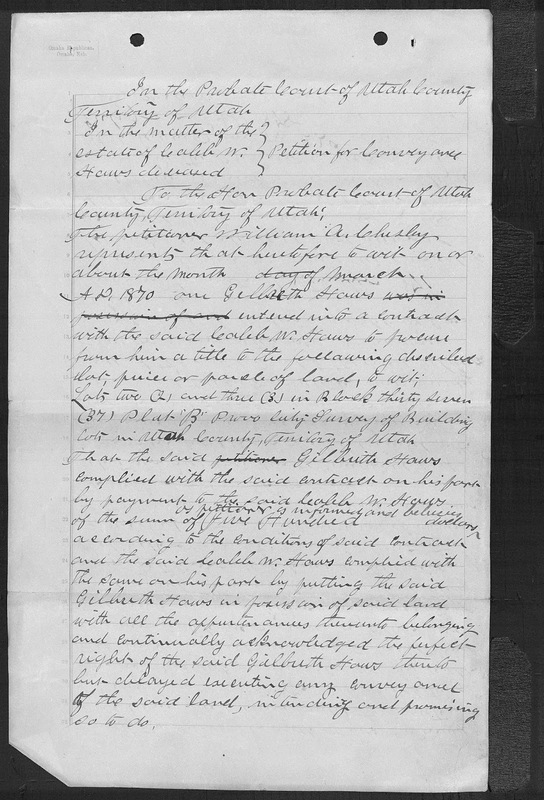 I hope that you have the patience to continue learning about these types of proceedings and have an appreciation for the wealth of information contained in a probate file. 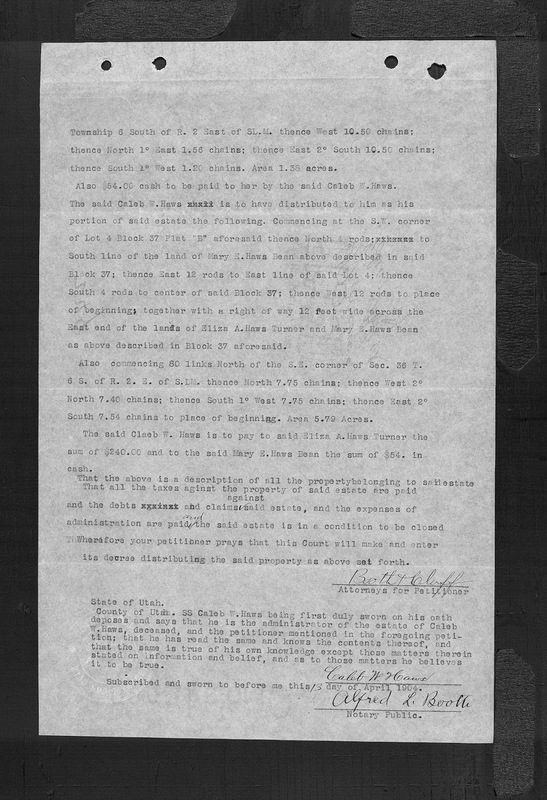 Even if the file seems to be rather short, the information can be valuable. 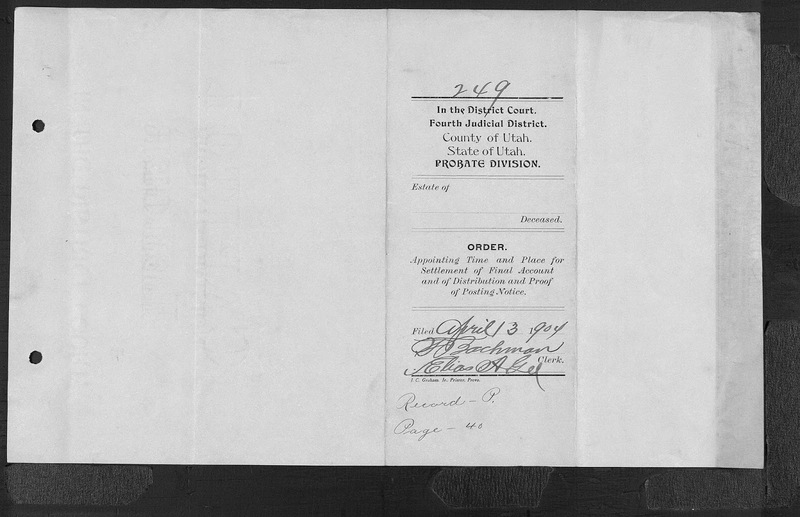 I might add that this particular proceeding is in no way unusual in the overall world of probate. I choose this file at random but although I view the time periods as unusual, the rest of the proceeding is not unusual. Stay tuned for the continued parts of this particular post in the series on probate. 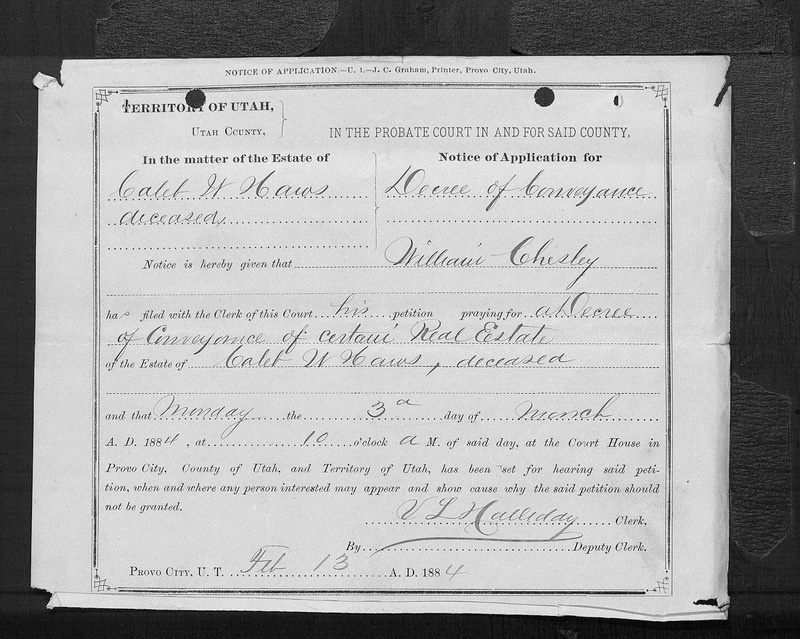 I realize that this particular series is getting rather complicated, but I can only say that it is a lot less complicated than an actual probate case. We now move on to the formal appointment of the administrator of the estate. In this case, the administrator is an administratrix, i.e. the wife of the deceased. 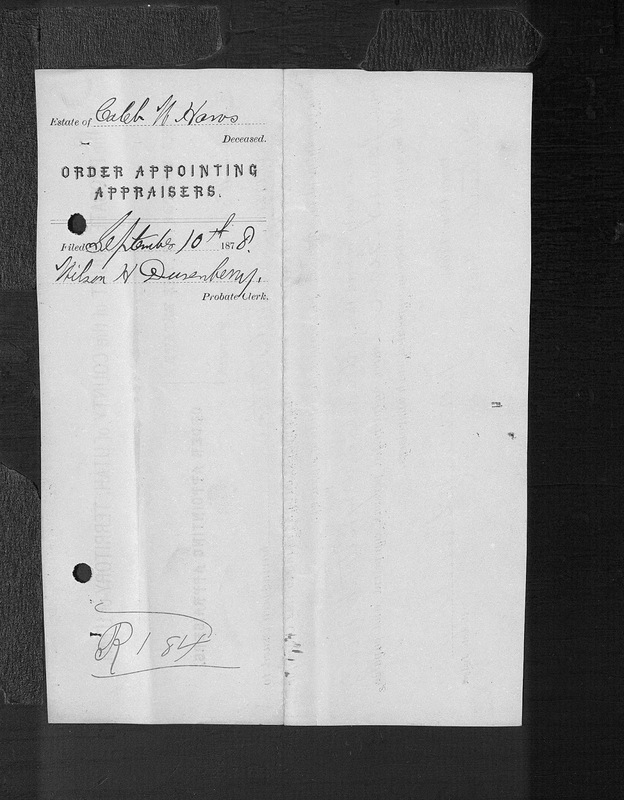 The first document above is the Order Appointing Administratrix. 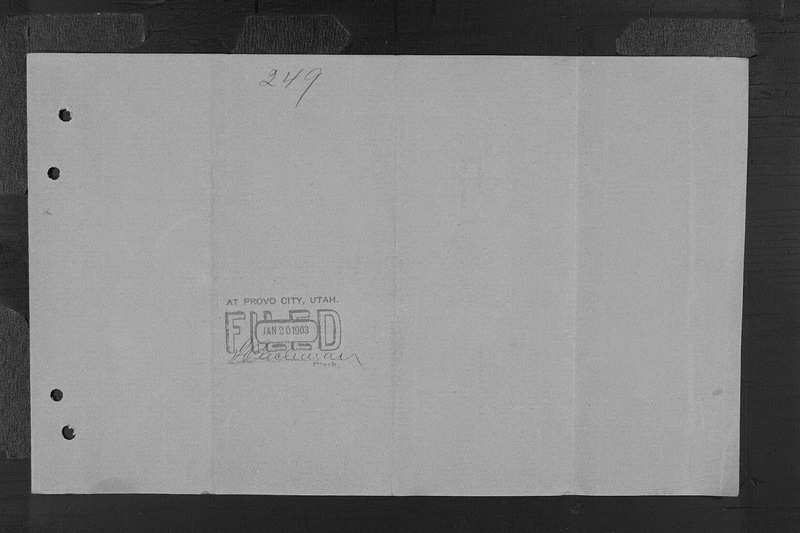 The second document is the cover sheet for the Order. 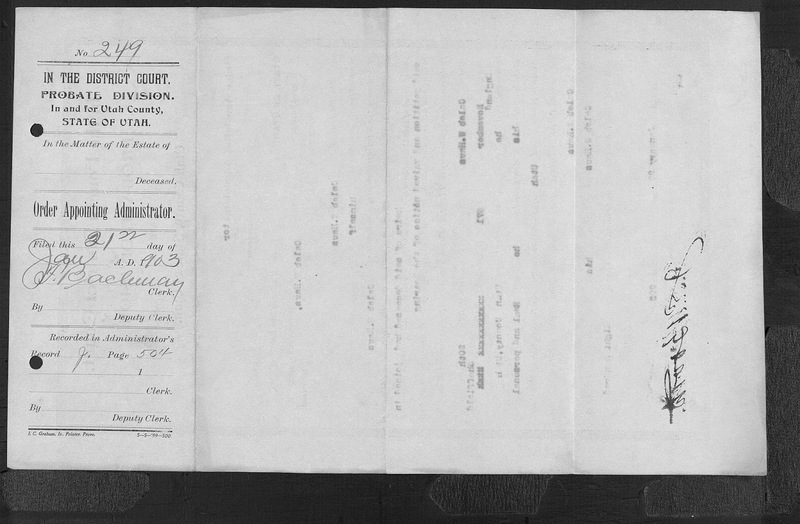 This document gives the wife's married name, Eliza Ann Haws and also has the date of death and another name, that of a family member. It also gives the approximate value of the estate. 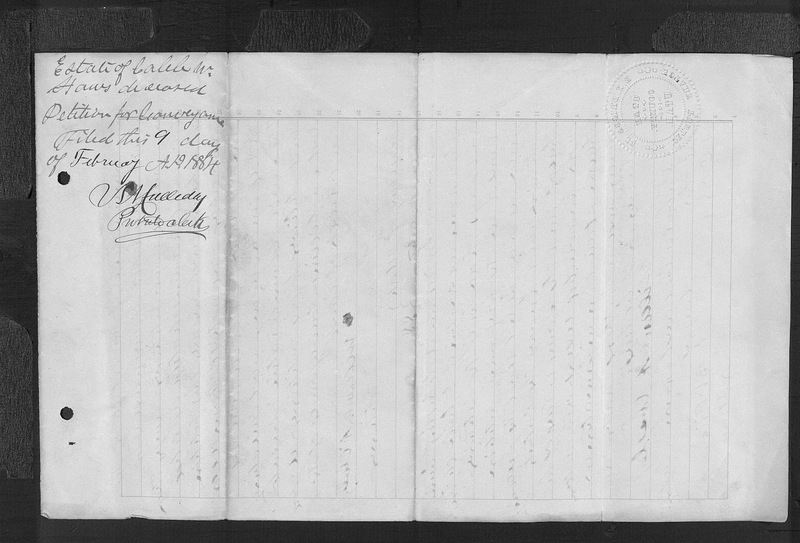 A genealogist will immediately see the value of all of this information. 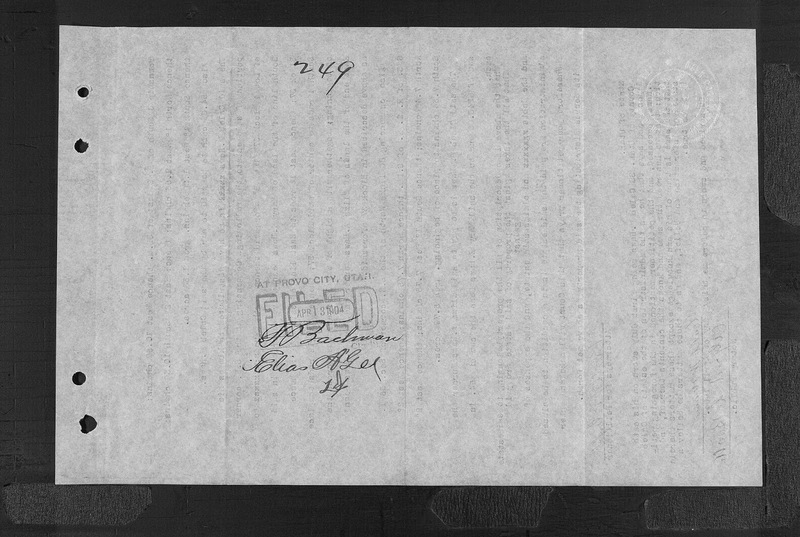 It is also important to note the date the Order was signed, July 22, 1878, more than seven years after the date of death. 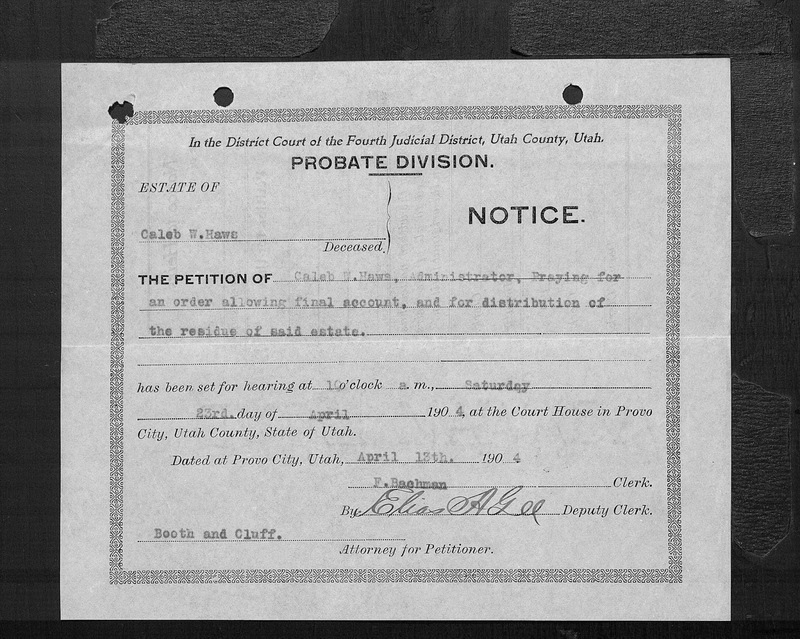 It is an important point that the timing of probate actions may bear little relationship to the actual date of death and a search of the probate records may need to cover many years subsequent to the date of death in the absence of an index or other finding aid. Once the Administrator/Administratrix is appointed, then the estate must be inventoried and appraised, i.e. a value set on the contents of the estate's both real and personal property. Here is the Order Appointing Appraisers. Note in this case since the deceased died intestate the person appoint to administer the estate is called an administrator or administratrix. If there had been a will the person would have been called an executor/executrix. All of these documents should be reviewed carefully. In the even the handwriting is difficult to read, I suggest that you take time to transcribe each document. You may wish to do this in any event to make the contents more available to family members.